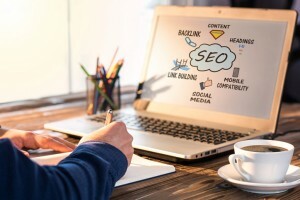 If you want to see an improvement in your web site’s search engine rankings, the answer is as simple as optimizing your user-friendly interlinking. Content depends on links to rank, and search engines like Google find your posts and pages best when they are linked to somewhere else on the web. How exactly does this work? What does search engine optimization (SEO) have to do with your success? Here’s all you need to know. Why Use Internal Links and What Are the Benefits? Internal links help to inform and refine growth marketing strategies, doubling and tripling the traffic on web sites. They connect your content, establish hierarchy on your site, and give search engines an idea of your web site. This allows you to give more value to your most important pages, and less to those that do not matter as much. There are many benefits to using internal links—here are just a few. ●Interlinking helps users navigate through your web site better through anchor texts that direct to relevant or related content. ●Internal links help you establish authority by connecting users to different pages on your web site. ●Quality anchor texts help users get around your site, and by establishing relevancy, you can encourage visitors to read more articles, thus increasing your page views and conversion rate. ●Interlinking helps increase your page rank because of the increase of backlinks your site will receive. ●Including links related to other posts on your site will help visitors stay there longer. A lower bounce rate is good for business as you retain visitors on your site longer, and offer real value that leads to repeat visits and increased traffic. Before your content is able to rank, it needs links. This is because Google’s algorithm finds your pages and posts best when they are linked from somewhere on the web. By interlinking your posts with each other (as long as the pages are relevant) you can give Google the idea of the structure of your site. Every web site has internal and external links, and internal links are designed to connect pages and posts, building relationships between your content. There are strategies to improve your interlinking structure so you can get the most out of this setup. Here are some important tips to improve your rankings. The interlinking structure involves organizing site architecture and communicates to search engines which of your pages are the most important. In other words, internal linking deals with any links from one page of a domain web site that is linked to another page within that same domain. These links can be connected to categories or main site navigation. Interlinking helps users and bots find deeper pages that are often missed, boosting multiple pages in the same search and increasing your ranking. Placing a link within your content helps direct readers to other pages on your site where they can get more information about a particular subject. There are different ways to make content links stand out—you can bold them or encouraging users to click—but it is important to make sure they are relevant. Every few months you should do a walkthrough of your site to make sure you do not have any broken links. Broken links should be mended or the same keyword should be linked to another relevant web page. Bad links on your web site are a great way to discredit yourself and lose repeat visitors. The relevancy of your interlinks is crucial—irrelevant links will disrupt your user experience and lead them to leave your page. Link relevancy is also important for footer and sidebar links. These links guide visitors to more relevant pages, and encourage them to keep interacting with your site. When users are guided to act in this way, it provides positive user signals to Google that indirectly affect your web site and page rank for the better. There is huge value in optimizing your call to action (CTA) section to maximize your conversion rate. This button should be large, bold, and optimized for every device a visitor can view it from. It should also be distinguishable from the background. If you have a CTA paragraph, be sure to place appropriate links within it. Every web page should have a CTA so users are always a click away from a conversion. In cases where you do not want a search engine to depend on the hyperlink juice of a specific Internet web page, you can create a “nofollow” link in your hyperlink tag. This strategy is useful for pages that are not generating organic traffic, but are being found by bots. Instead of allowing these low traffic pages to waste Google resources, you can choose to make them nofollow links. The only downside of this, however, is that it can trigger a ripple effect and restrict your authority, discouraging viewers from visiting different pages straight linked to that web page. 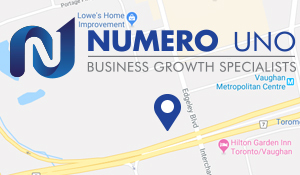 If you’re looking for tips and advice on how to improve your web site’s SEO conversion rate through the use of interlinks, and boost your user experience, Numero Uno Web Solutions is the team you need. We provide our clients with many marketing solutions such as SEO, content audit services, online reputation management, web designing and development, and more. We are a content marketing agency in Toronto that specializes in helping small- to medium-sized businesses improve their web sites. For years, we have helped clients across the Greater Toronto Area, Texas, Massachusetts, and Florida, optimize their marketing strategies and grow their businesses. Call us at 1-855-SEO-XPRT to learn more about the services and expertise we provide.